Shark Club, Winnipeg, MB. Information, Photos and Reviews. A fun vivacious place to come and watch sports, meet new friends and enjoy some scrumptious food, cold beers and tasty cocktails. We host many events with weekly DJs, private room availability and one off parties. 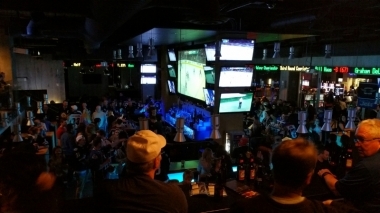 We play all major sporting events on our many tvs. We have everything from Hockey to Football, Baseball, Basketball, Soccer, UFC, Boxing and NASCAR to name a few. We are attached to the MTS Center Arena, home to the Winnipeg Jets NHL Team, Manitoba Moose AHL and many music events. 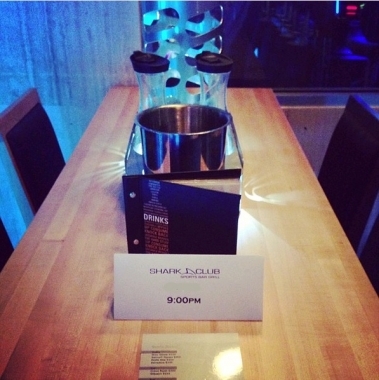 We accept reservations everyday aside from during MTS events and can even do bottle service for those special events. We are found in the heart of down town and close to the majority of hotels. Fun and friendly, our staff are here waiting to see you soon! Nobody has reviewed Shark Club yet, Be the first. You are submitting a booking enquiry. Shark Club will then contact you by email with details of availability and prices.